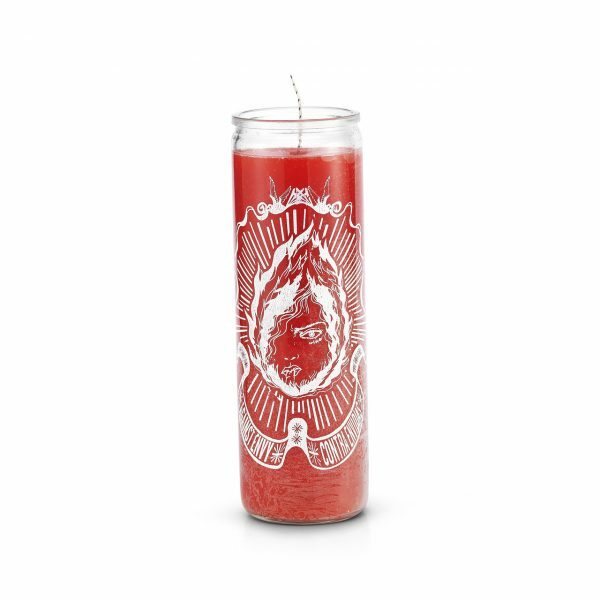 Use our Against Envy 7 Day prayer candle to protect yourself from jealousy and the evil eye. For extra strength place a few drops of our Against Envy Oil on top of the candle while you burn it. Burn our 7 Day 7 African Powers candle to invoke the almighty powers of the 7 African Orishas. May they bring you love, money, luck and peace of mind. Our 7 African Powers Candle depicts in detail each of the 7 African Powers (Elegua, Yemaya, Oshun, Obatala, Ochosi, Oya & Ochosi). For extra strength place a few drops of our 7 African Powers oil on top of the candle as it burns. Burn our 7 Day Chuparrosa candle to bring you an ideal love, founded in honesty and truth. Just as the hummingbird gathers sweet nectar, burn our Chuparrosa candle to attract your one true love. For extra strength, you can place a few drops of our Attraction Oil on top of the Chuparrosa candle as it burns.